Many TV manufacturers use Android TV as their operating system. Android TV is a great way to enjoy Shadow in the comfort of your couch without the need for any additional devices. 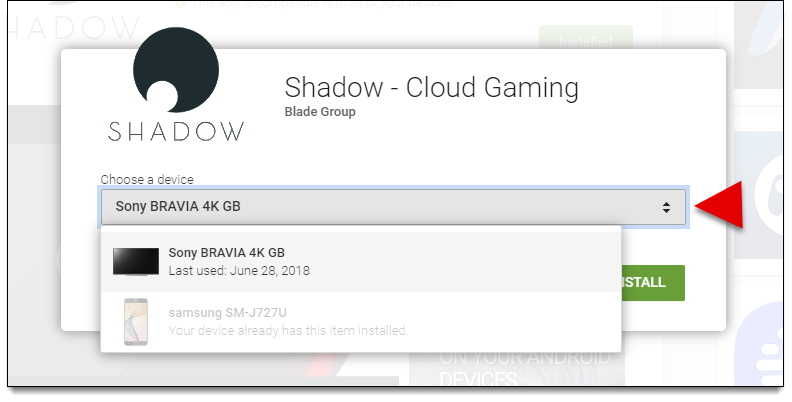 If you have an Android TV, you can install Shadow directly on your TV via the Google Play Store. Make sure you check the model of your TV to see if it is compatible with ANDROID TV . Before continuing, log in to your Google Account on your Android TV. Select Apps, select the Google Play store . Enter " Shadow " in the search bar and select Search. 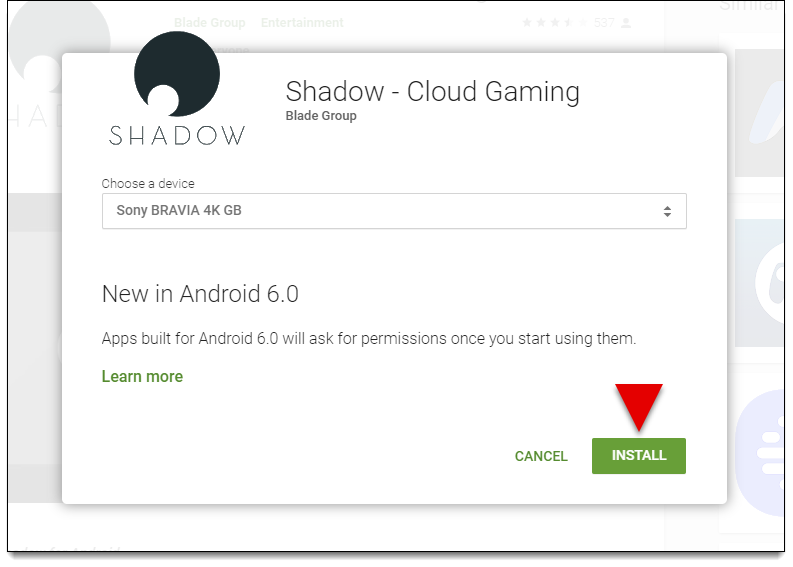 Google Play will warning you that a gamepad is required to use Shadow. You can use a mouse, a keyboard and a controller with shadow by connecting it via Bluetooth with your TV. The application is now accessible from the menu of your TV. If you can not find your TV, make sure your TV is connected to your Google Account. 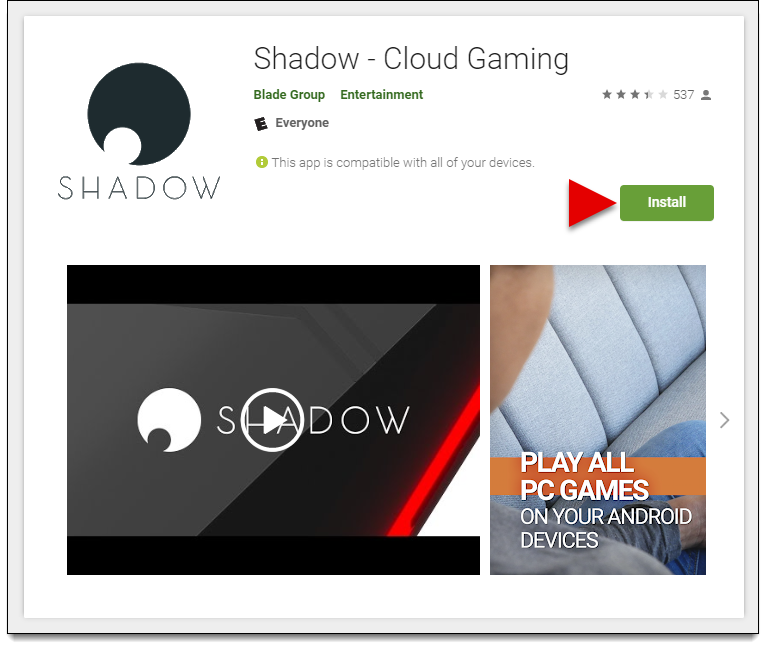 Once Shadow has completed the installation on your Android TV, the application will be available on your TV to connect and start Shadow. Do you have problems with the Google Play Store? For more information, visit the Google Play Help Center.